*If your dog has separation anxiety, please fill out the form on my separation anxiety page to request an appointment. *Appointments should only be scheduled by following this button if you live in Lakeville, MN or a surrounding city. Anything outside of this area should be scheduled directly through Allison via email. In-home training is a great choice if you would prefer to focus on training in the comfort of your home or if the behaviors are directly related to home life. I will come to your home and work alongside you and your dog during our time together. Simply pick the number of sessions you would like to purchase and we will begin training! 4 Sessions: $370- This package is perfect for working on a few specific behaviors like recall, down-stay and leave it. In addition to the training sessions, you will receive individualized homework after each session and 2 months of follow-up support after our training ends. Sessions must be used within 2 months of being purchased. 6 Sessions: $540- Six sessions is a great amount of time to teach a variety of basic manners. In addition to the training sessions, you will receive individualized homework after each session and 3 months of follow-up support after our training ends. Sessions must be used within 4 months of being purchased. 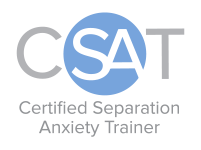 *BEST VALUE* 10 Sessions: $850- This package is great for several behaviors and fear, aggression or anxiety. In addition to the training sessions, you will receive individualized support after each session and 6 months of follow-up support after our training ends. Sessions must be used within 6 months of being purchased. By purchasing this package, you will save $100 on training services. *Do you want a long-term training commitment? I'd be happy to come up with a personalized extended package! **Please note that I cannot guarantee that behavior modification for your dog can be completed in the time frame of the package you purchase. If we finish early, I will work on other skills to fill up leftover sessions. If we need more time, I'd be happy to extend your package. All packages include a specified amount of follow-up support. Contact us for more information or to figure out which program is best for you!